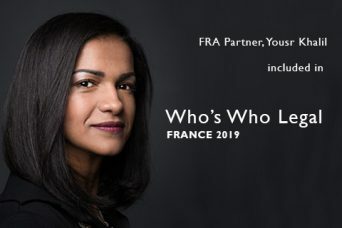 FRA Partner Yousr Khalil has been included in Who’s Who Legal France 2019. WWL recognize just six experts for their leading work on forensic accounting, eDiscovery, computer forensics, and data recovery and analysis. WWL says “Yousr is a standout practitioner in the French market who excels on issues such as procurement disputes, internal investigations, and fraud and corruption cases. Yousr is also included in Who’s Who Legal Investigations Forensic Accountants and is praised for her “tireless devotion to uncovering the facts” with clients giving particular praise for her “excellent communication skills and ability to aggregate data”. Who’s Who Legal is a comprehensive guide to the leading professionals across the globe specializing in economic, forensic and litigation consulting and transactional services. Since 1996 Who’s Who Legal has identified the foremost legal practitioners and consulting experts in business law based upon comprehensive, independent research. It is impossible to buy entry into this publication. 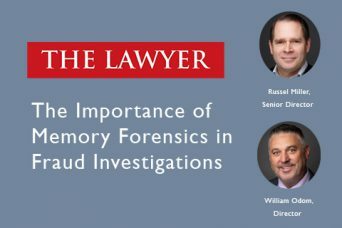 For many business disputes, forensic consultants with financial, business, and technological expertise provide multiple benefits to both lawyers and their clients. Forensic consultants find themselves uniquely positioned to provide multiple benefits to law firms in the midst of disputes, from early case assessment through trial. In an increasingly electronic society, seemingly everything is captured and stored, and these massive amounts of electronically stored information have increased both the costs and complexity of disputes. Forensic consultants find themselves better equipped to handle these massive amounts of stored electronic data. Not only do they possess advanced eDiscovery platforms, but they also have an experienced team of professionals to operate these platforms, ultimately saving law firms and their clients’ money by not having to incur these costs in-house. Moreover, forensic consultants are able to look beyond surface level causations. They are able to easily assess loss periods and damage calculations, as well as causation and mitigation early on in a case and can forecast likely outcomes. This type of assessment can help set realistic expectations regarding the potential financial return. 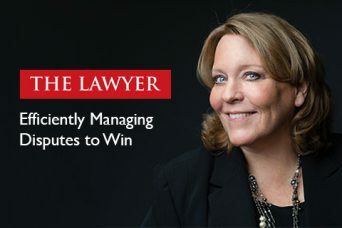 In the latest issue of The Lawyer, FRA Senior Director Susan Dillon further illustrates how forensic consultants add immeasurable value to business disputes. 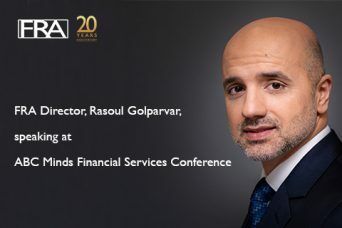 FRA is sponsoring the ABC Minds Financial Services Conference on 26 February. It is an exclusive event for compliance professionals, in-house counsel, and enforcement agencies on the fight against corruption across banking, insurance, investment, and securities. 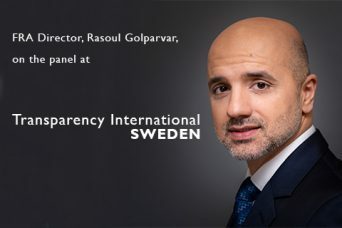 FRA Director, Rasoul Golparvar, will be speaking on the panel: Investigating in the Modern Age – Technology, Techniques and Transparency. He will be joined by Alexandra Howlett, VP, Senior Investigator, BNY Mellon, Angela Cowie, EMEA Head of Anti-Bribery & Corruption, Wells Fargo and Chief Superintendent Matthew Gardner, Head of Internal Affairs and Professional Standards from the London Metropolitan Police Service.